With 10 years of experience creating the most unbelievable menu’s all across our beautiful country, chef PJ Lombard and his team have created a 5-course set menu for you to look forward to. 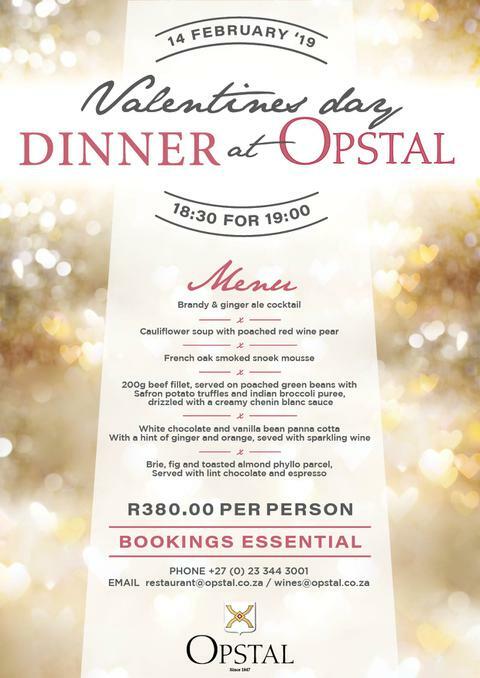 Bookings can be made via email at restautant@opstal.co.za or by calling us at 023 344 3001. We look forward to welcoming you to our scenic estate.